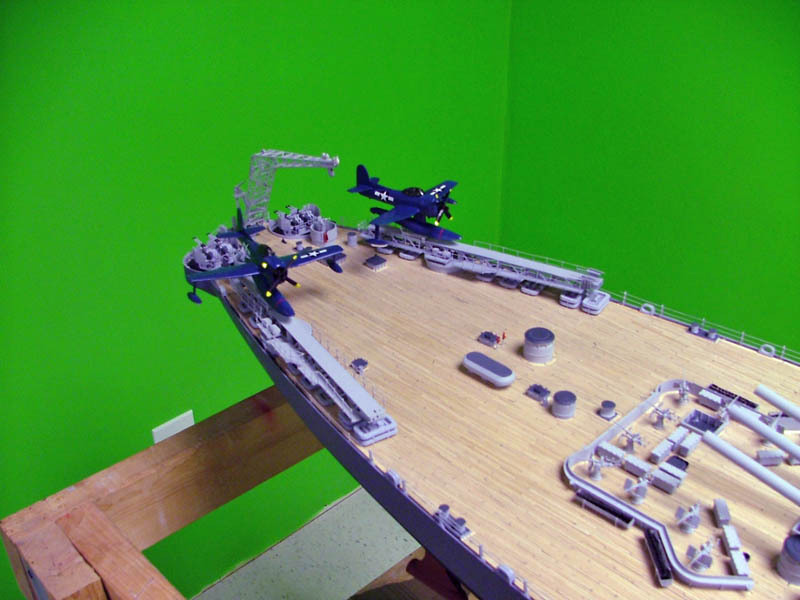 I was very sad to hear that Paul has passed away. 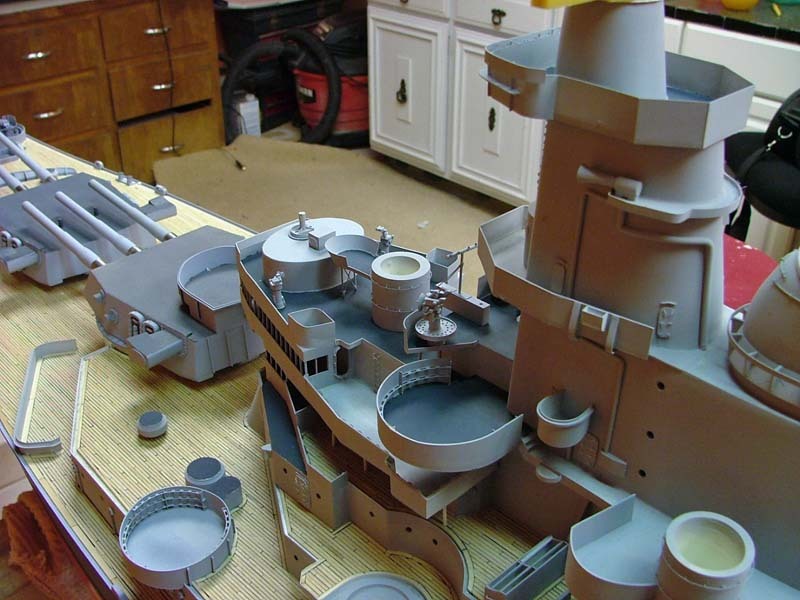 I will remember his good humor and companionship over many hours of working on models together. 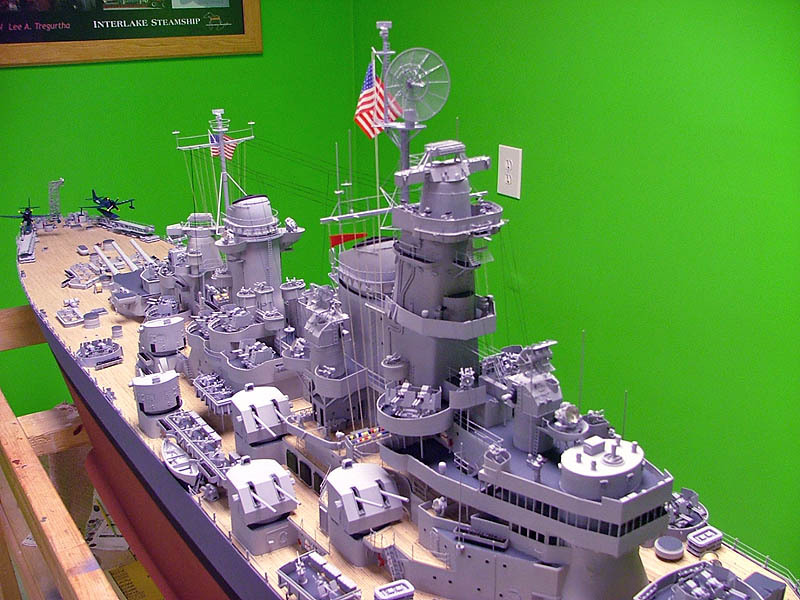 Paul served on the Safeguard during the Korean war, and he was justifiably proud of this model of his old ship. 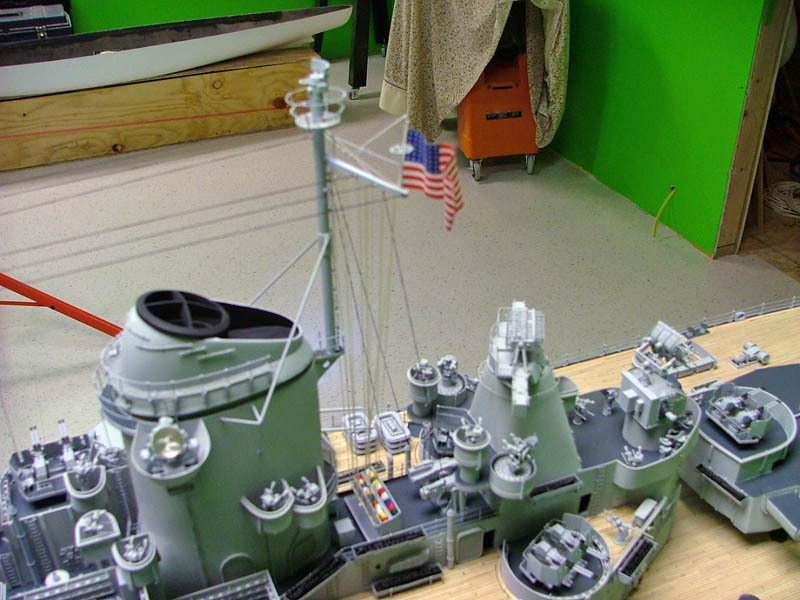 Fair winds and following seas my friend. 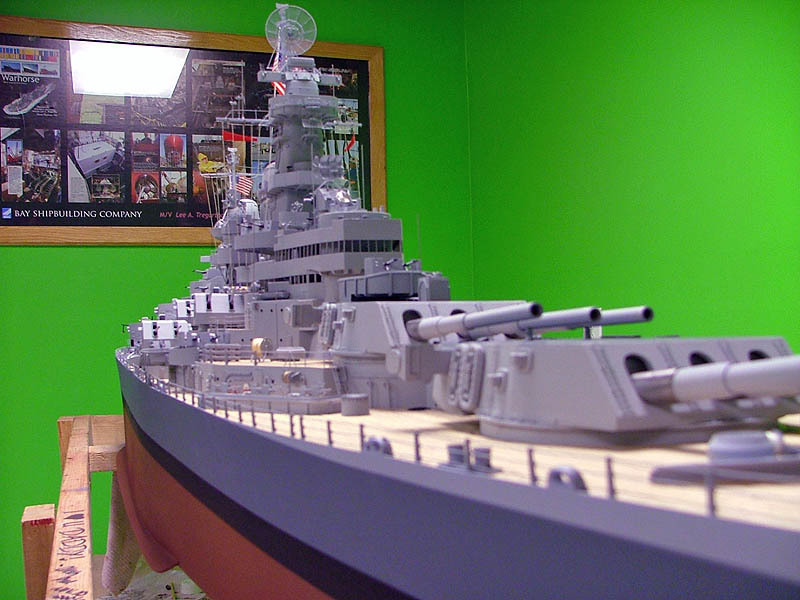 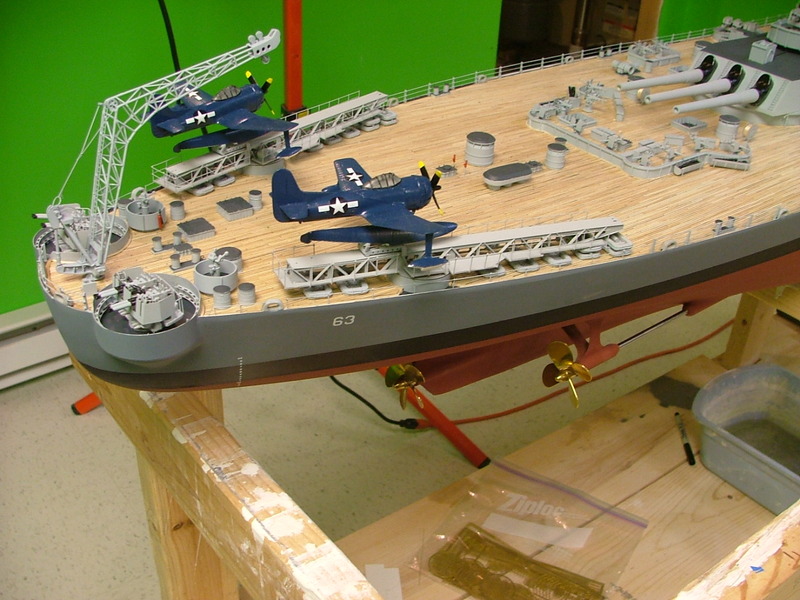 Another great model sent in by Duane, his latest in 1/48 scale. 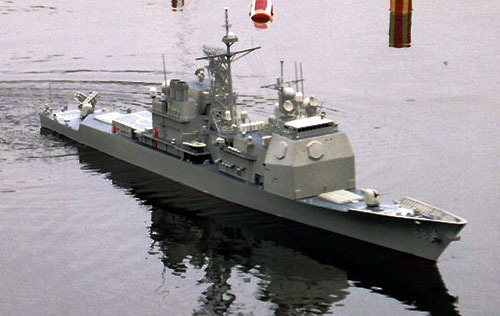 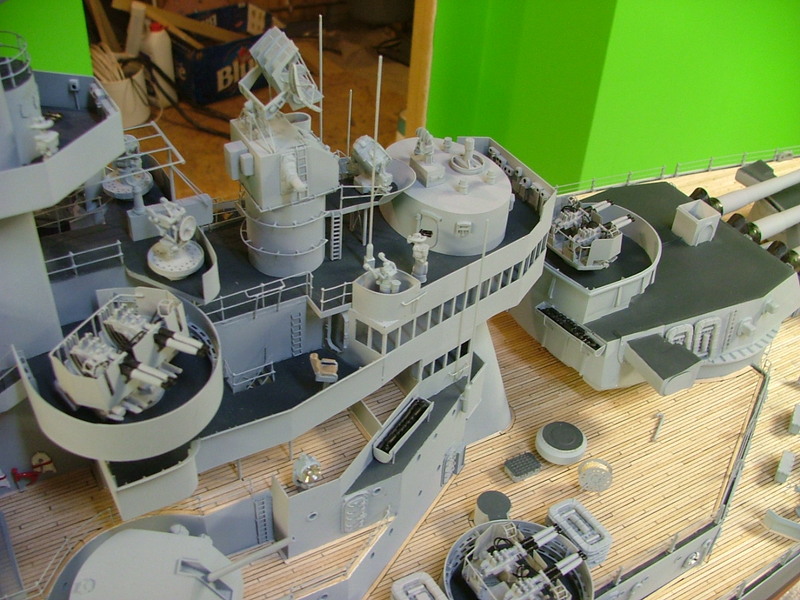 Scratch Built, including Paravane, Winch and Minesweeping gear on squared stern. 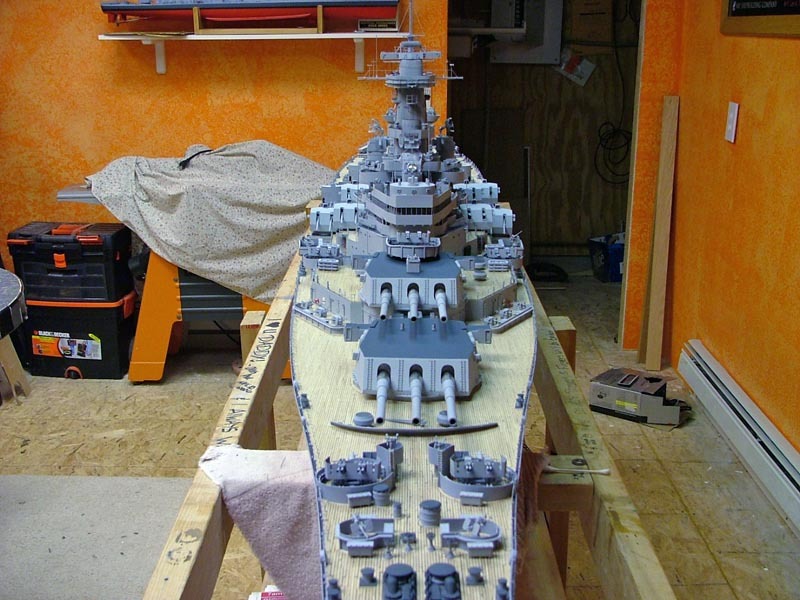 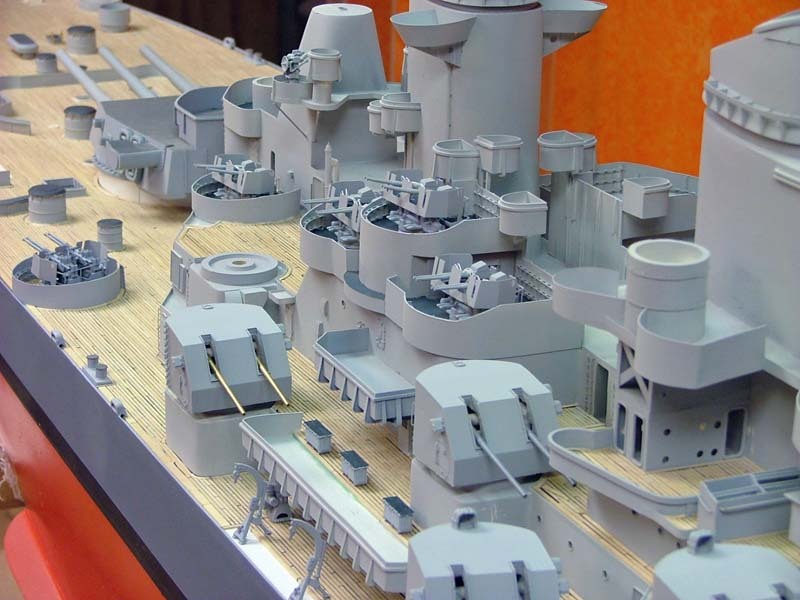 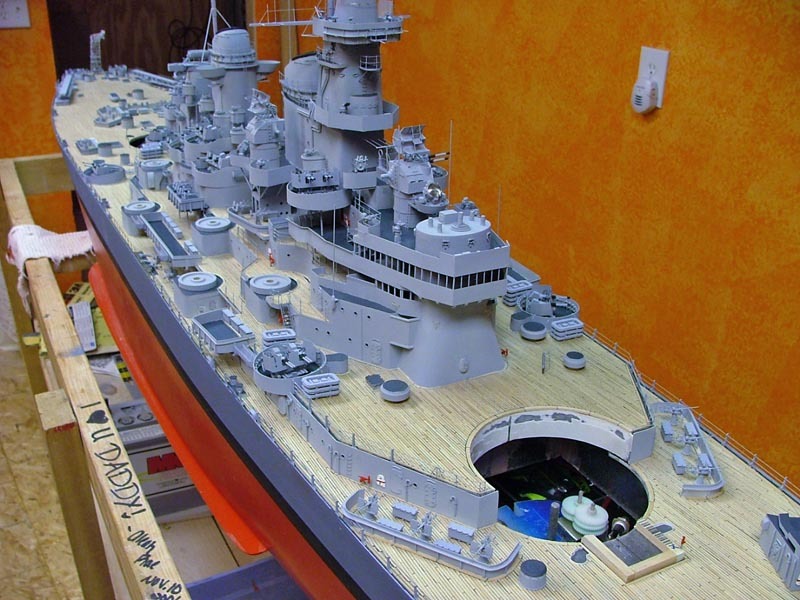 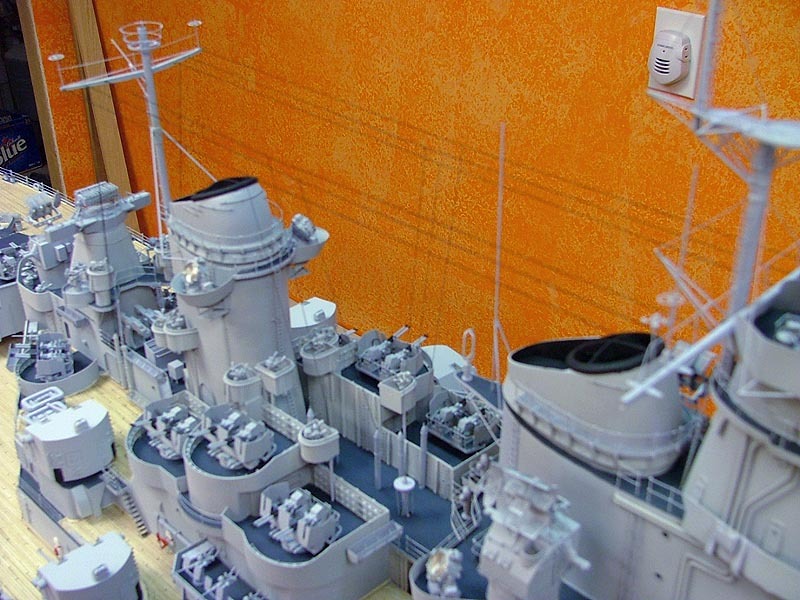 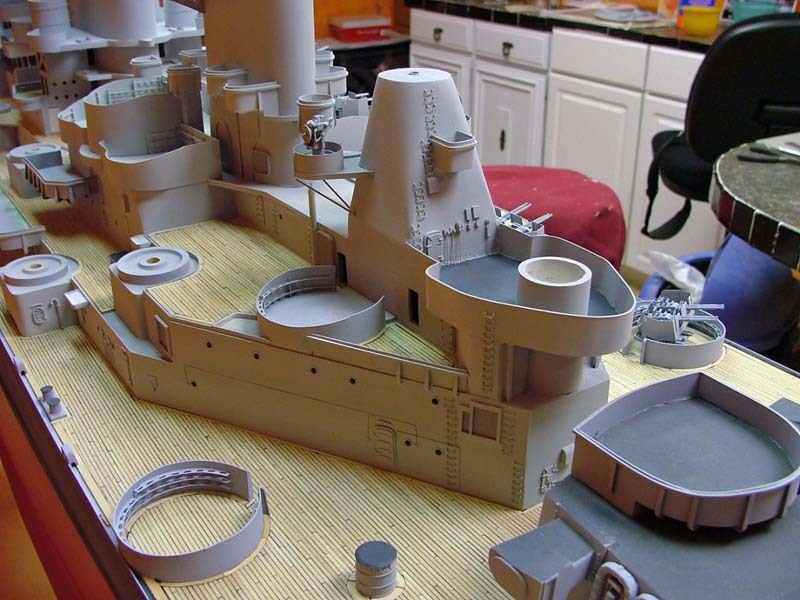 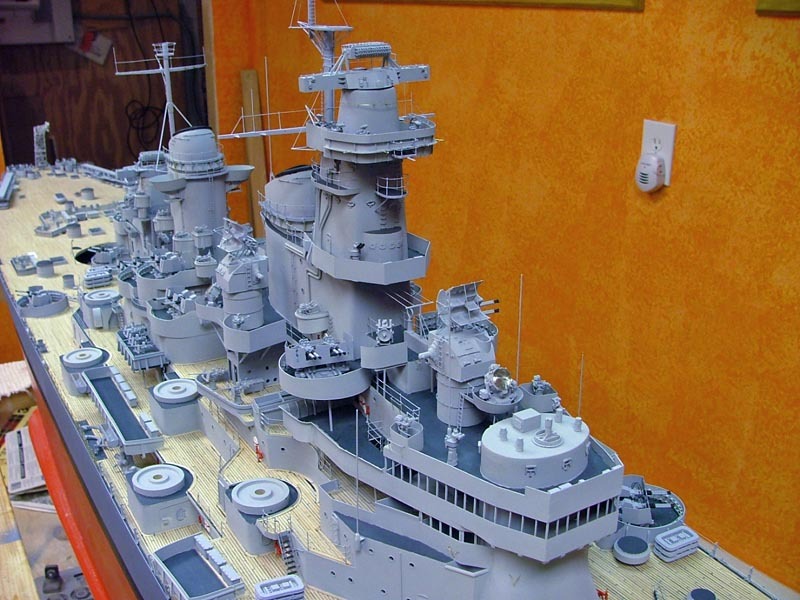 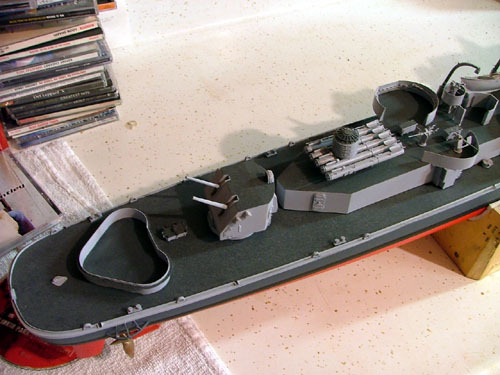 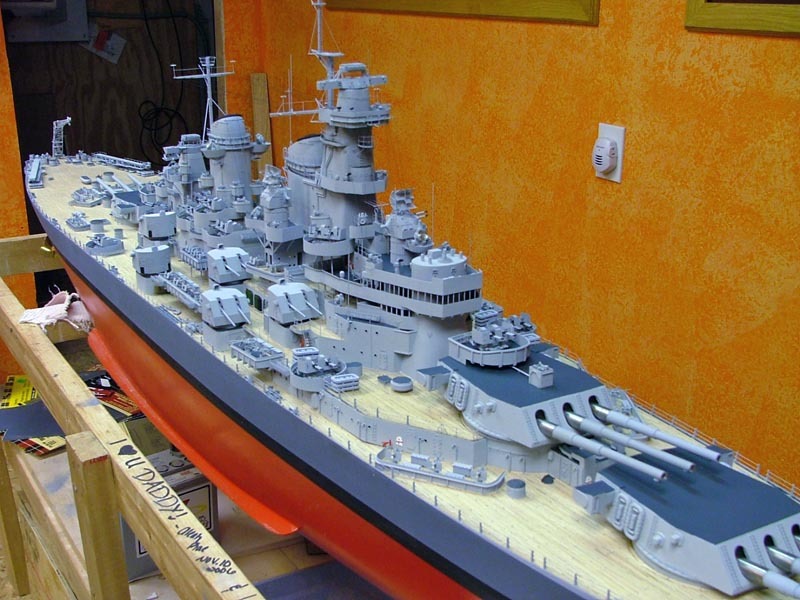 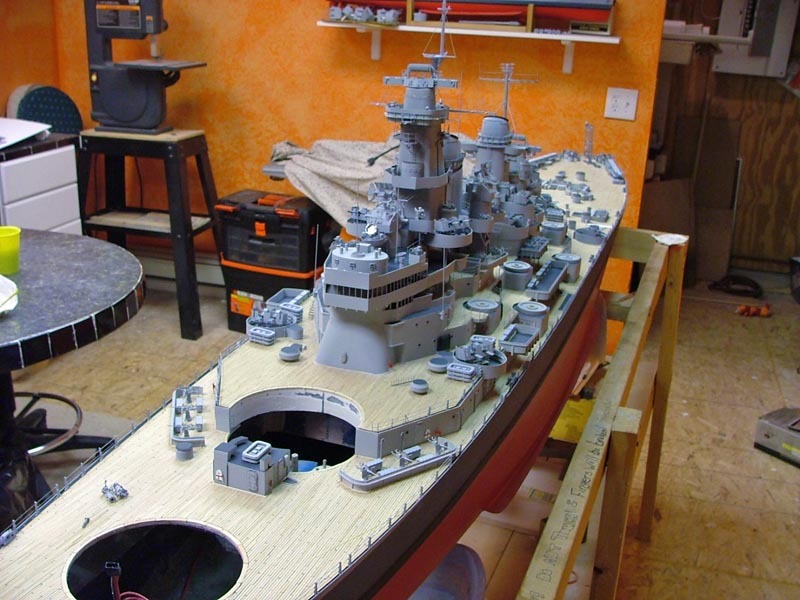 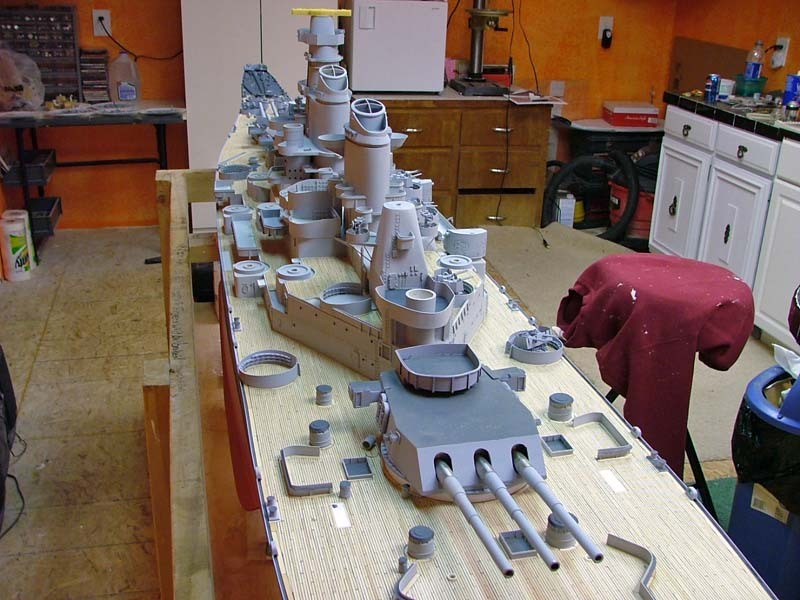 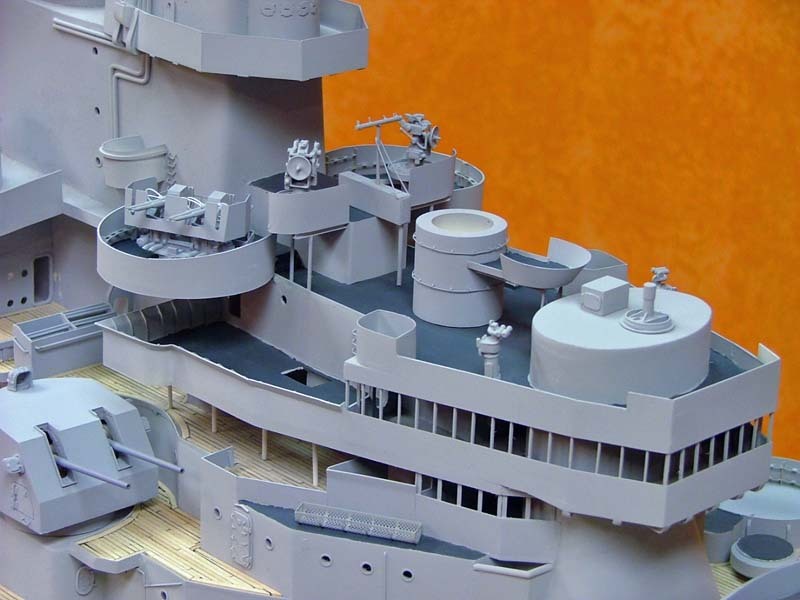 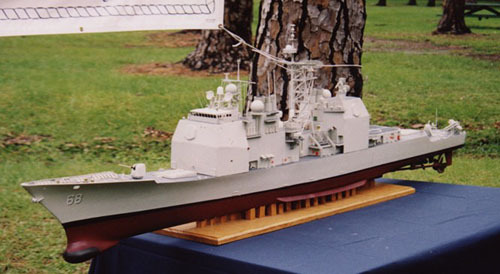 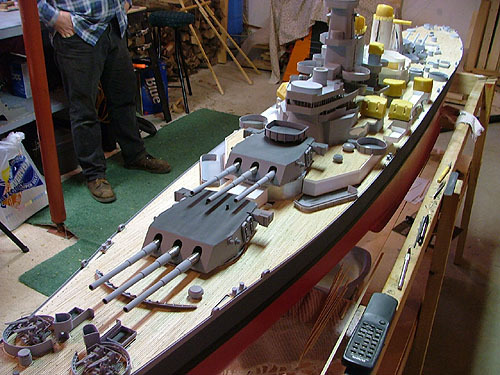 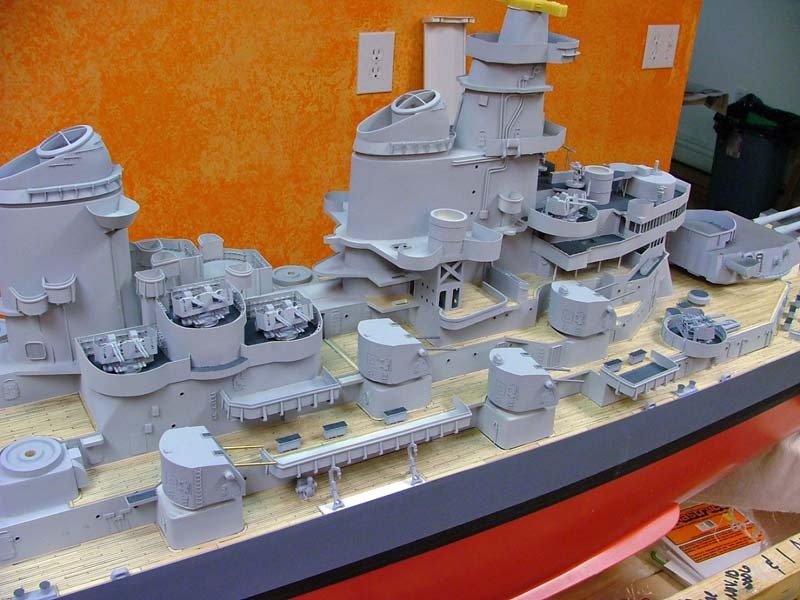 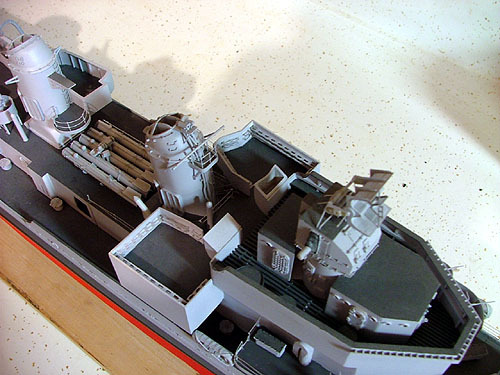 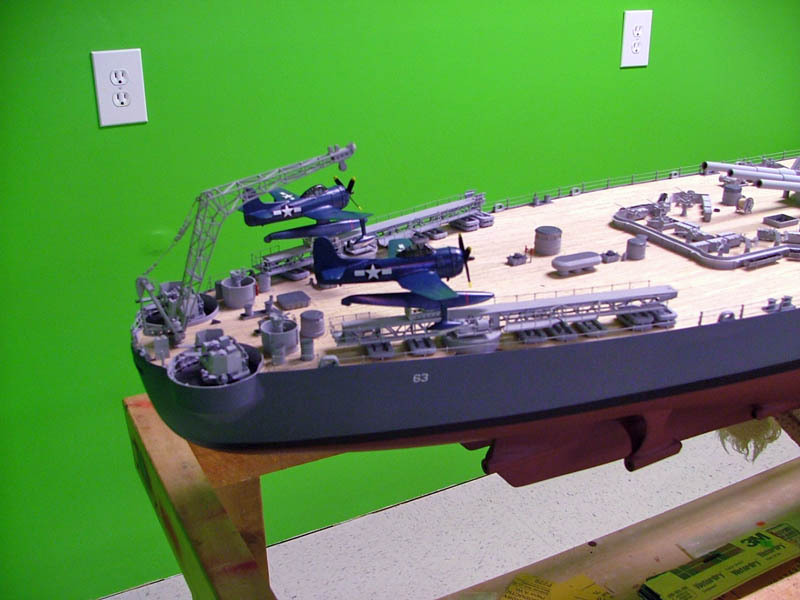 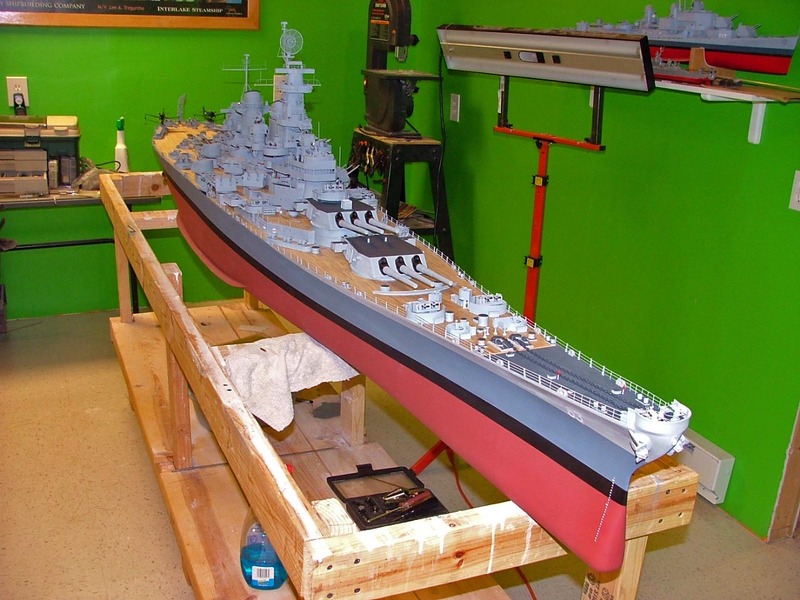 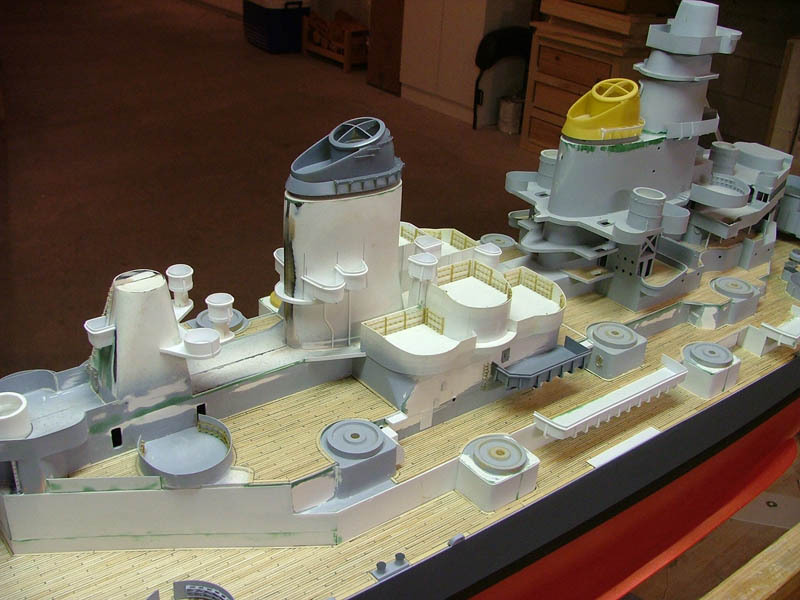 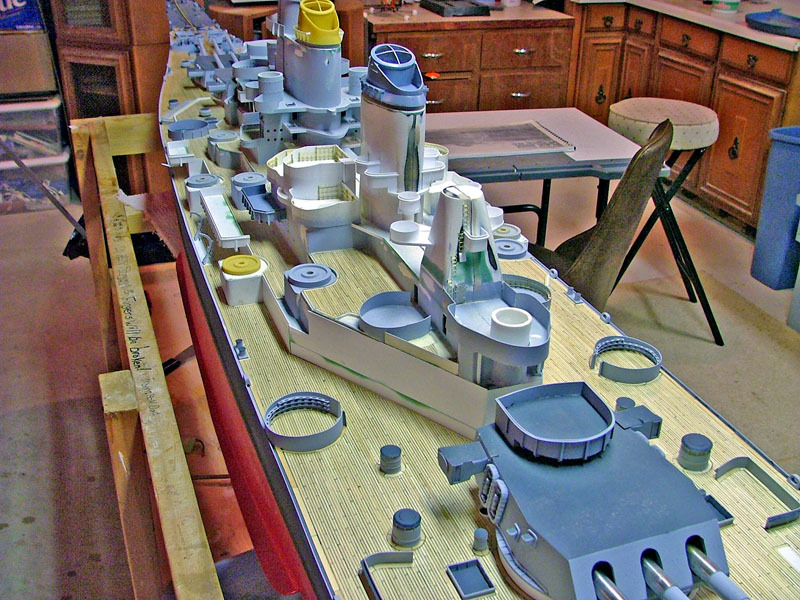 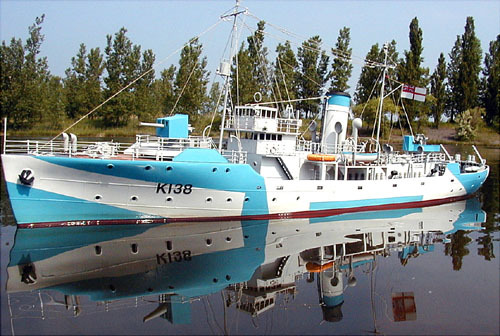 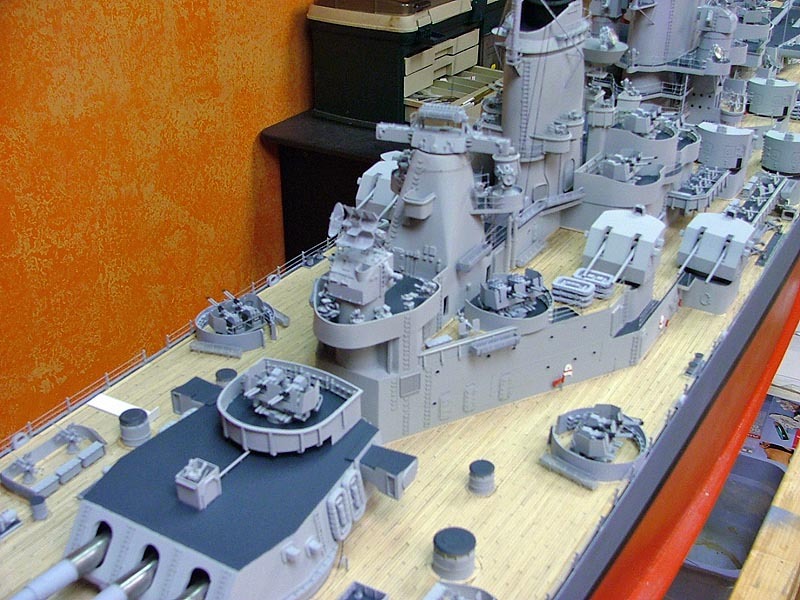 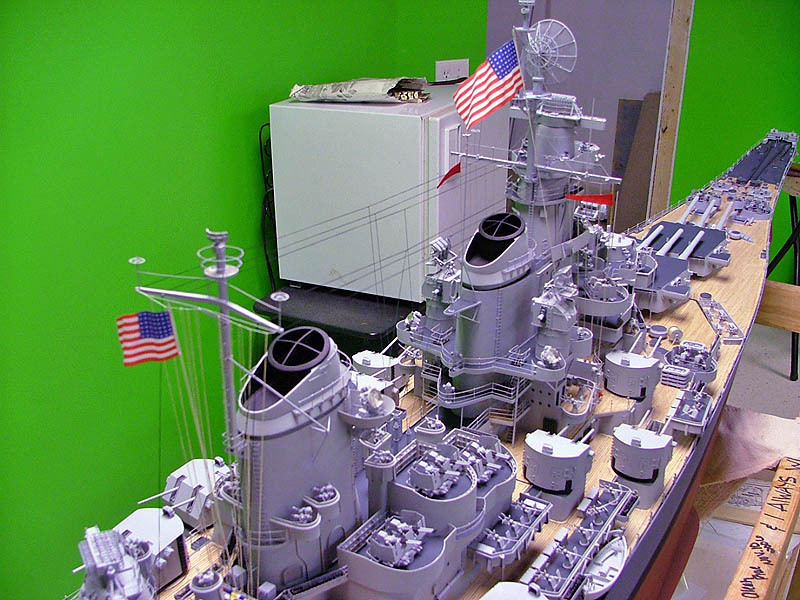 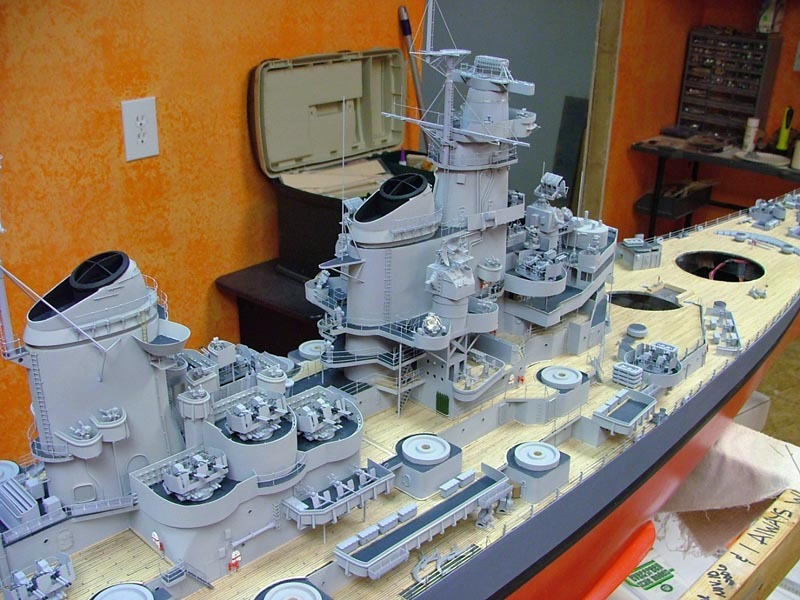 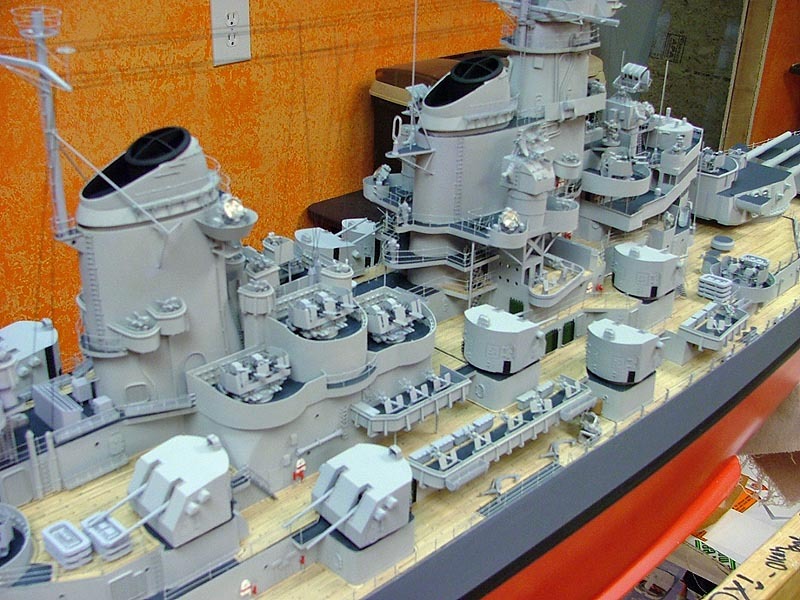 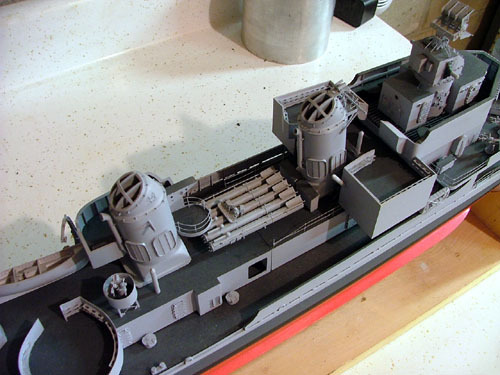 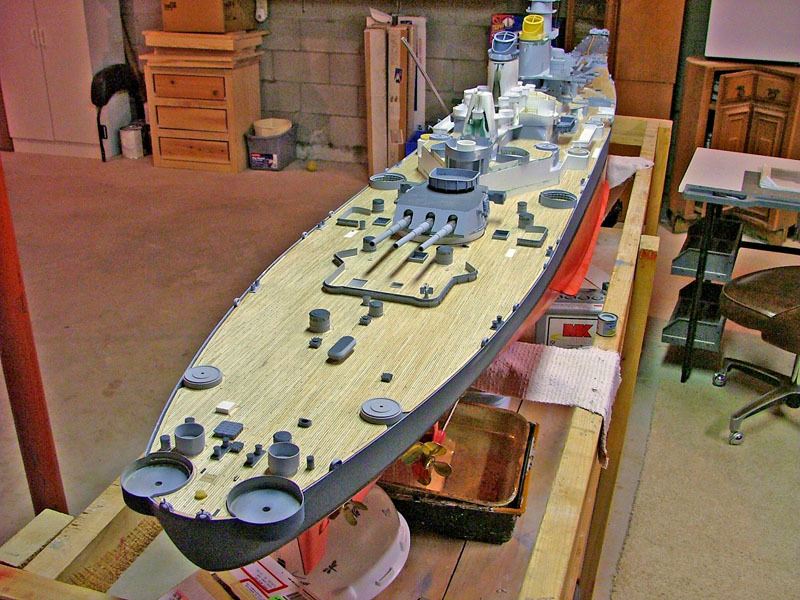 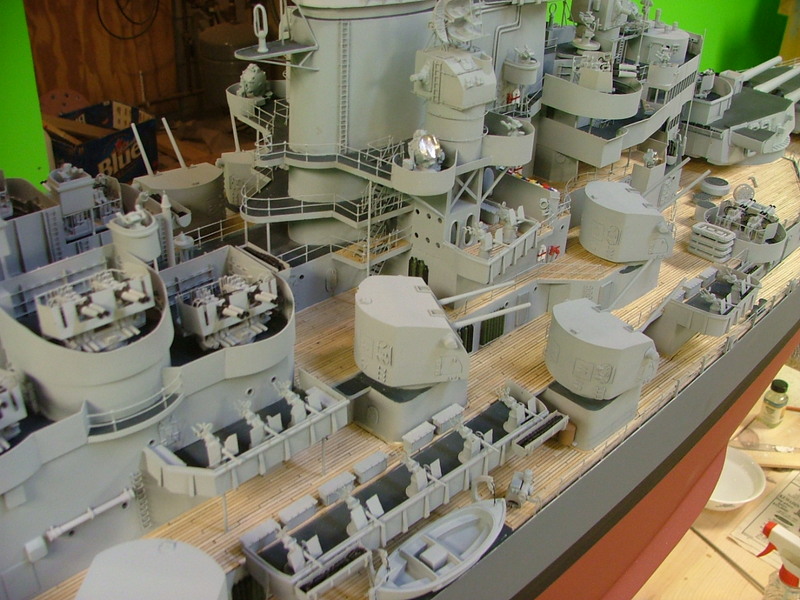 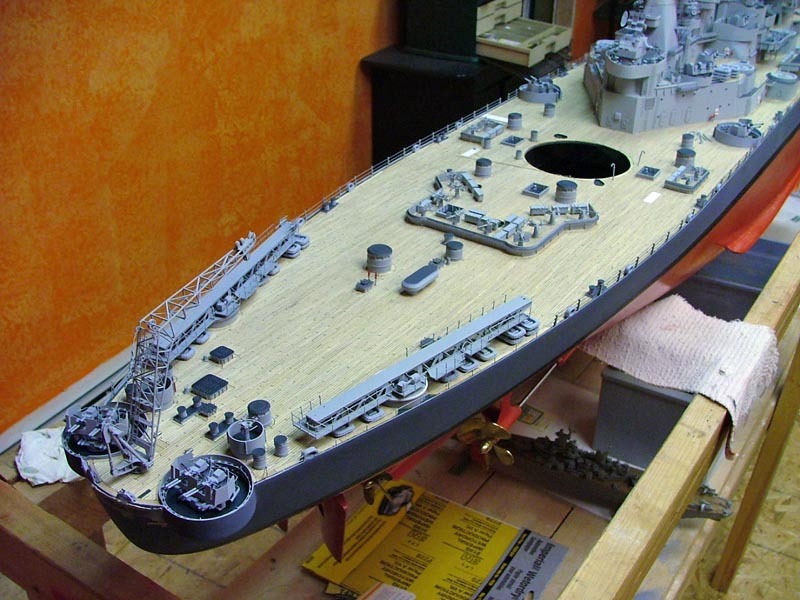 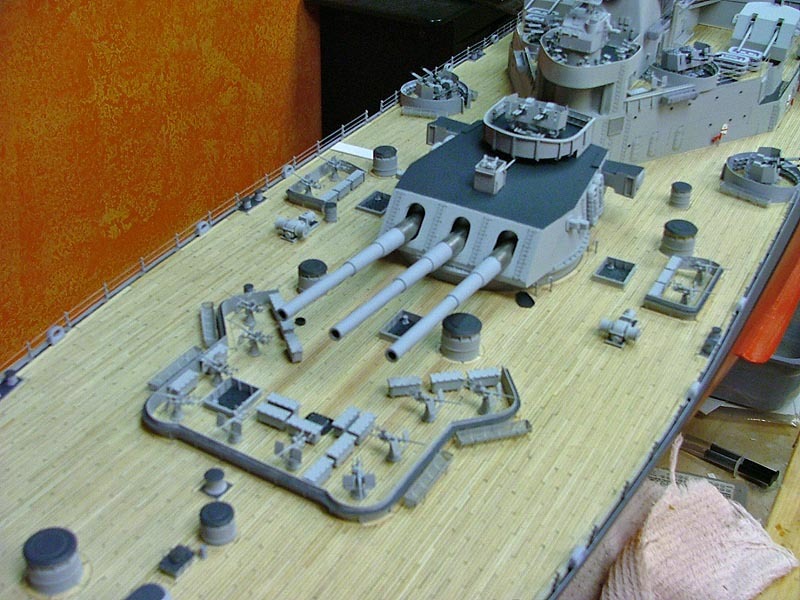 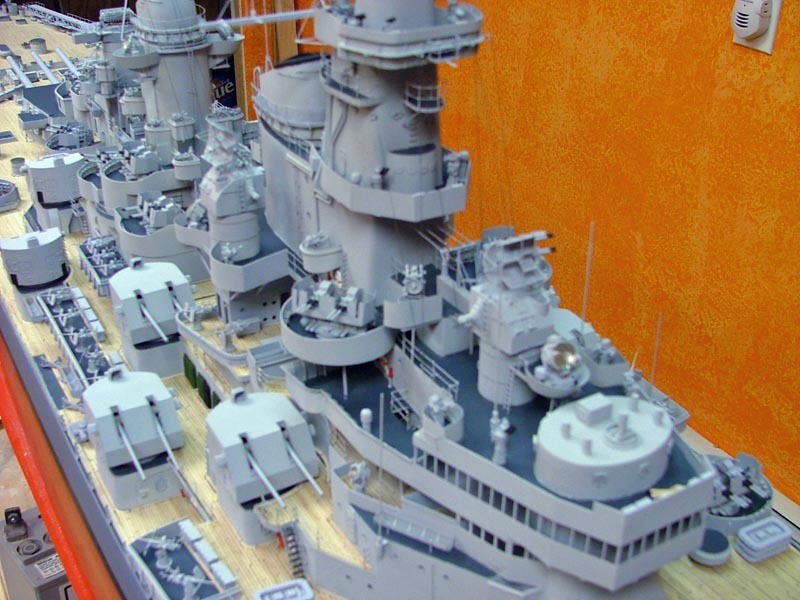 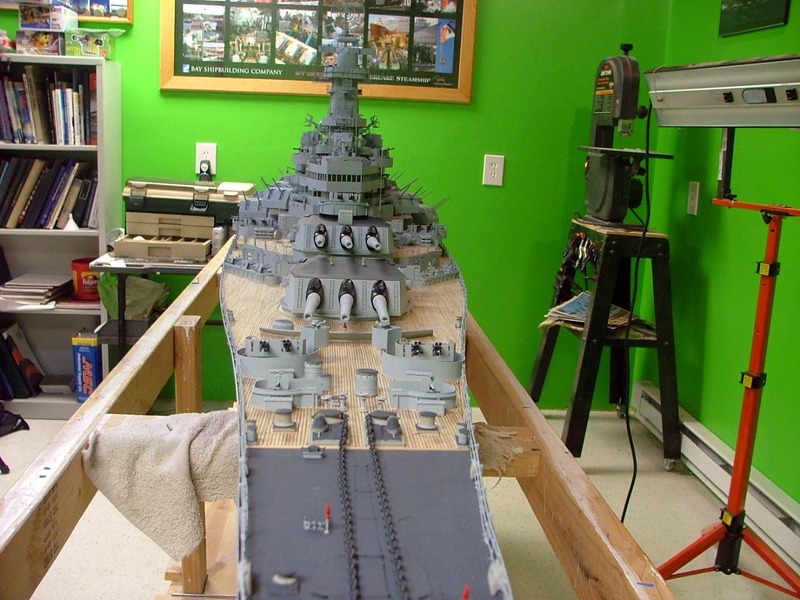 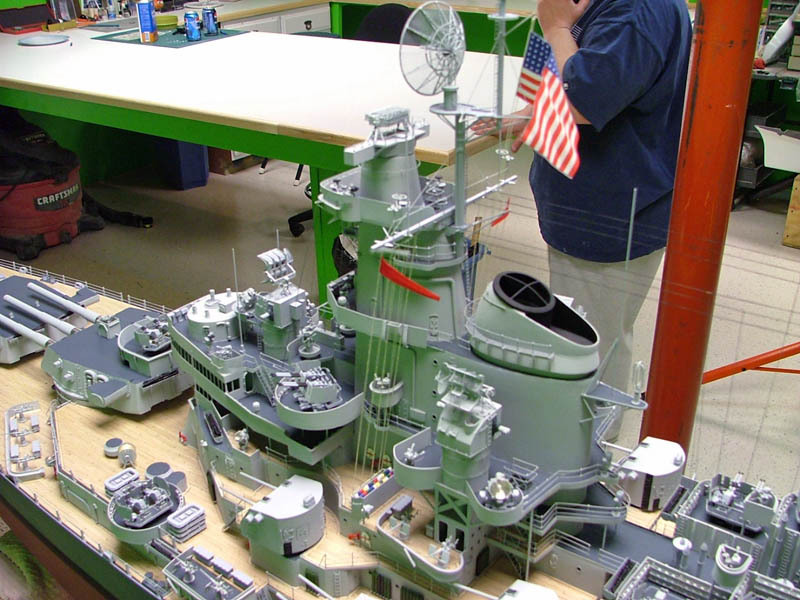 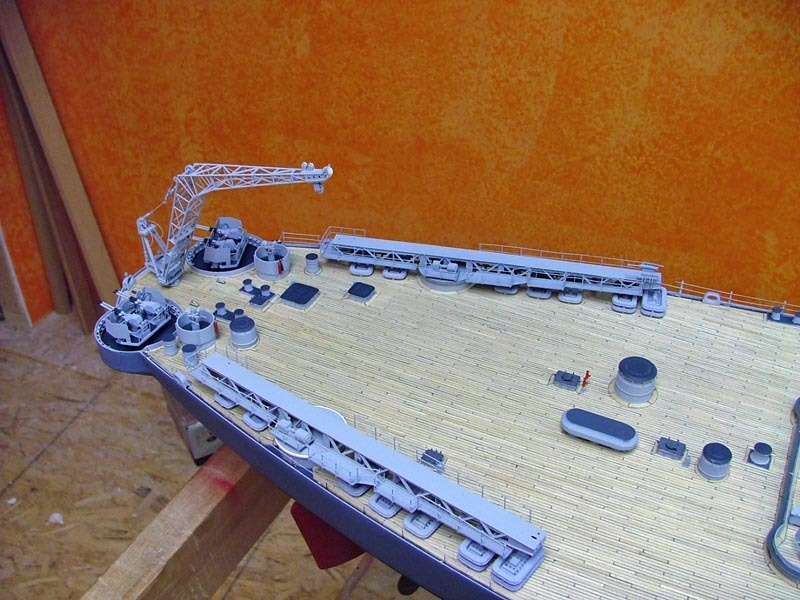 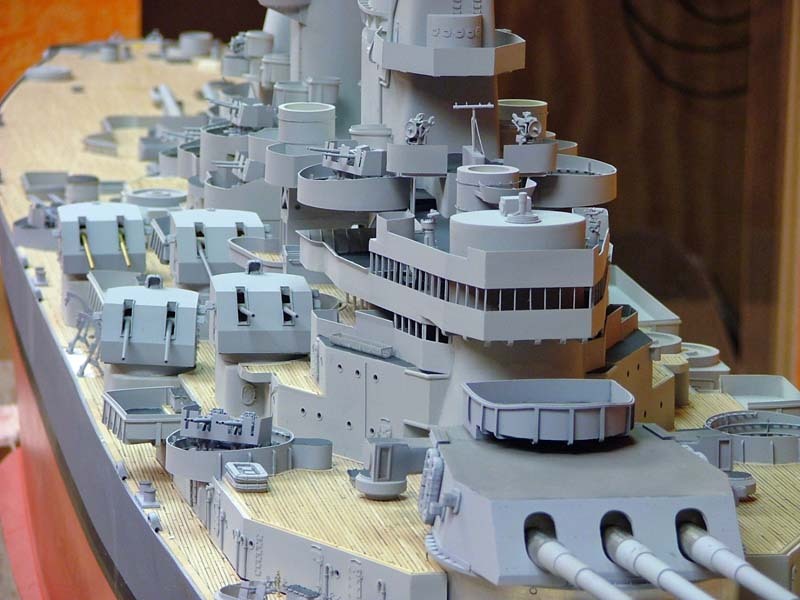 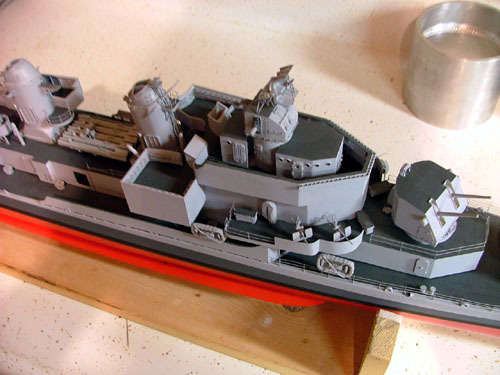 Brad is building this model with a combination of Scale Shipyard, and John Haynes parts. 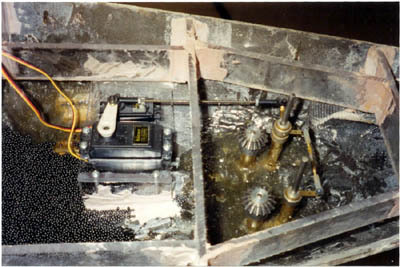 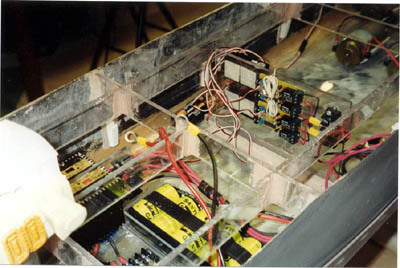 Now, a peek inside at her electronics - she is using a MCD speed control. 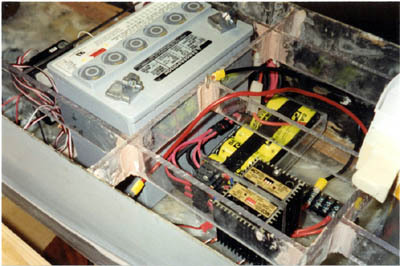 The Relays are part of the [Robbe] F-14 radio setup, and while it hasn't been the easiest system to work out, I'm getting there. 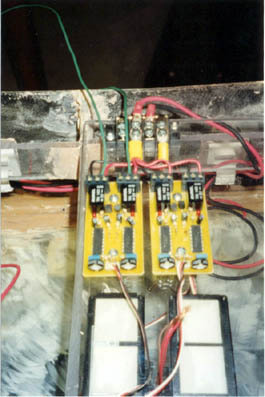 The relays in the pictures are "duo switches" available from Ships n Things. 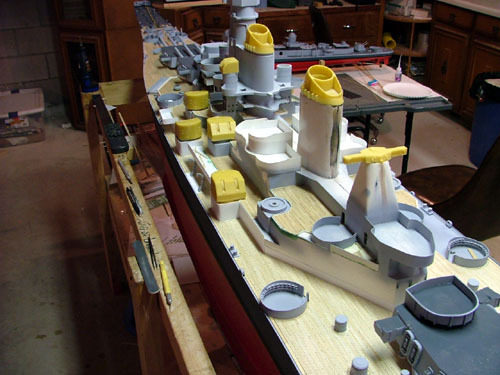 They enable the F-14 radio to control a motor in either forward or reverse (in this setup they conrol the 16" turrets in my USS Missouri) Note: one also needs the proper expansion module for the radio in order for this system to work. 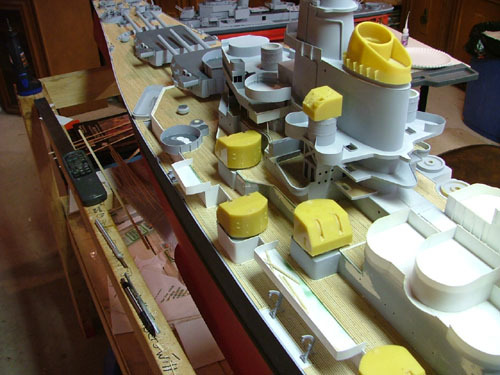 I had to come up with some kind of setup that would allow me to drop the rudders out of the model, to allow for maintenance. 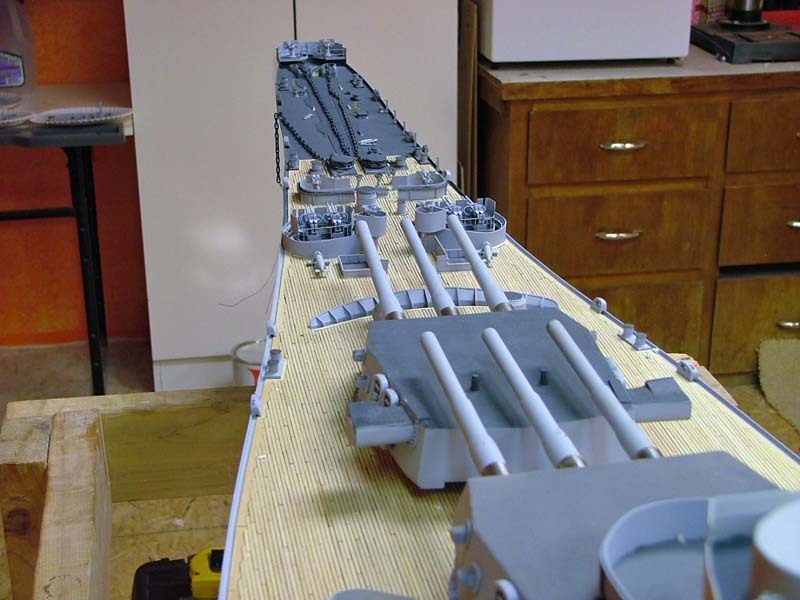 I thought about setscrews and reachrods for this, but the idea of a screw setup sounded easier to me. 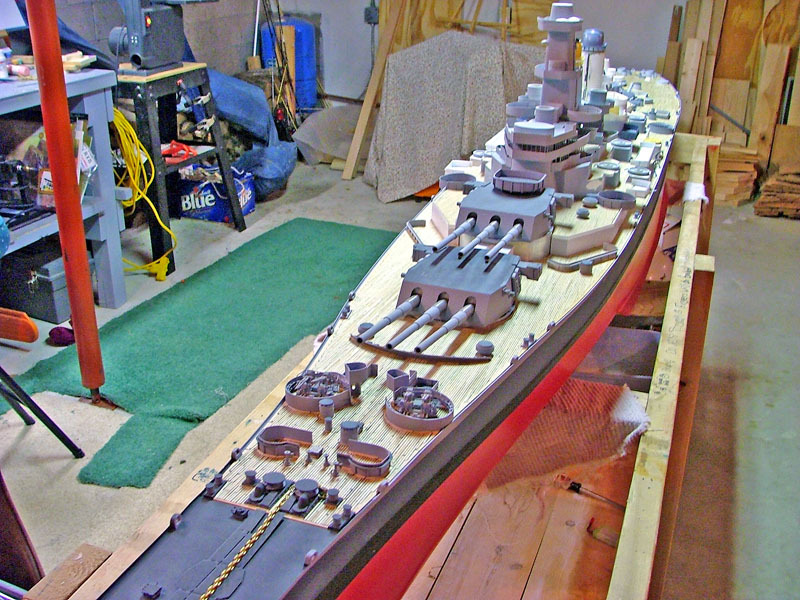 First, I bought four miter gears from MSC, and made a 1/4 inch insert to fit in the bore of these gears. 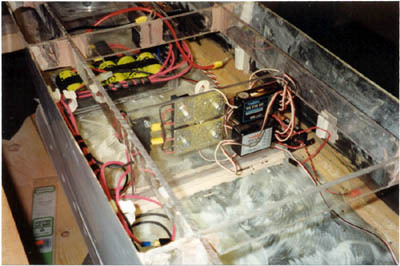 Then I drilled and tapped the insert to accept a 3/16" threaded shaft. 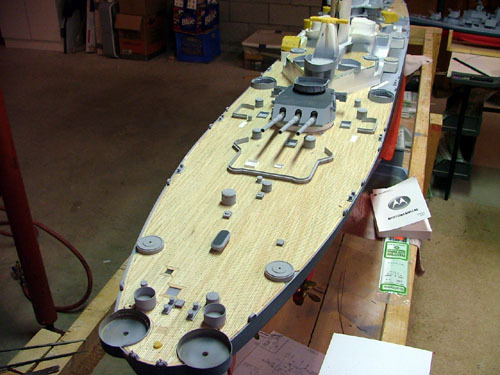 The shaft is affixed into the rudder stock, therefore when the mitergear is turned it forces the rudder assembly out through the hull. 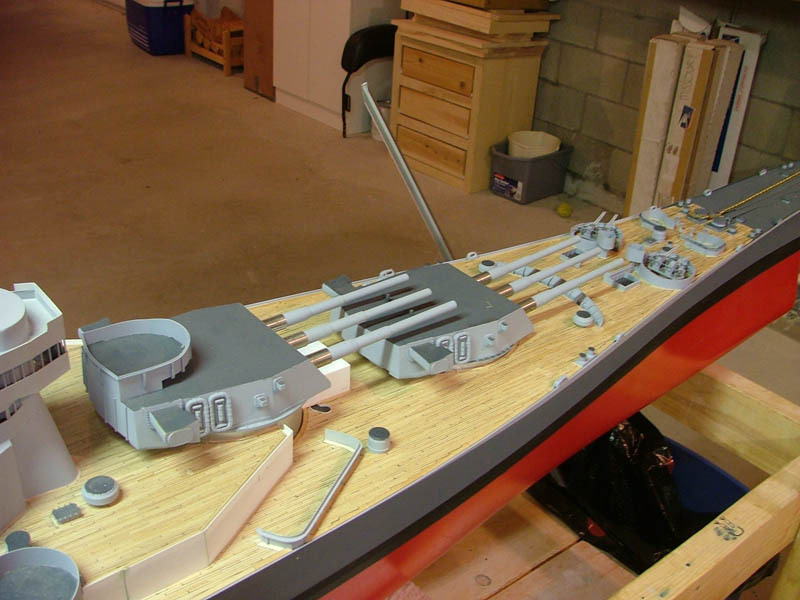 Later the rudder shaft will be keyed, and the rudder arms will have a piece of keystock installed, so the rudder will only go on one way. 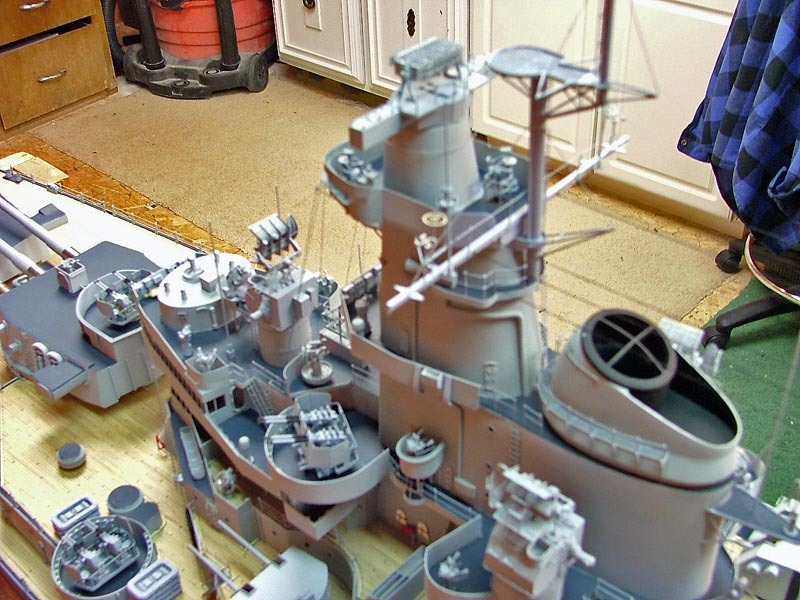 Brad gets a new digital camera, and sends in these photos of his model. 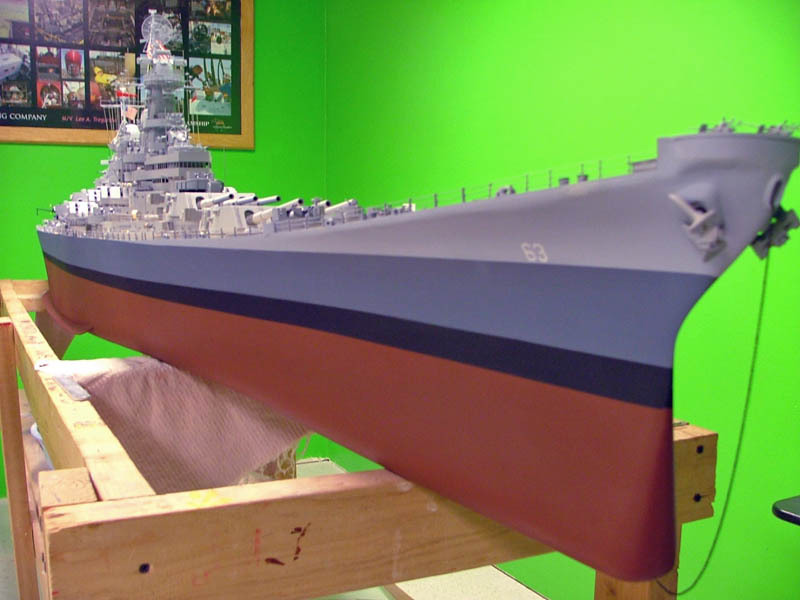 He has just started the planking. 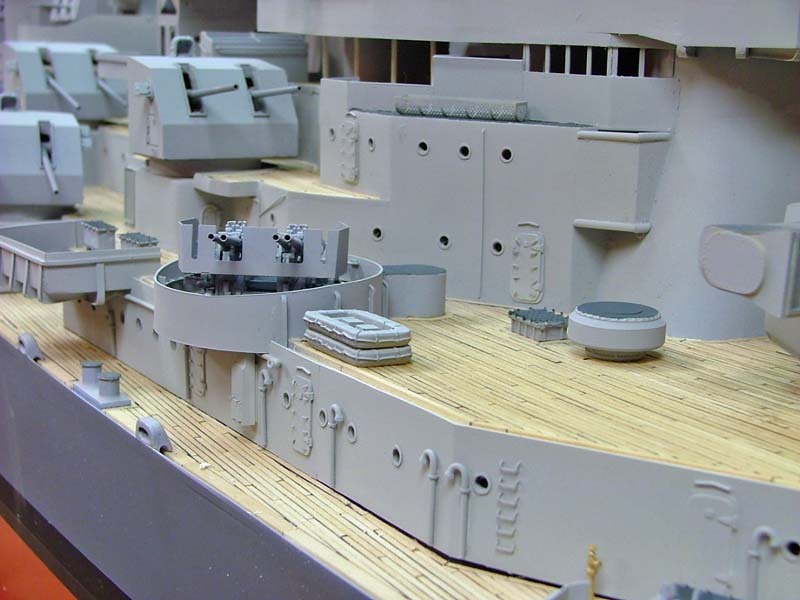 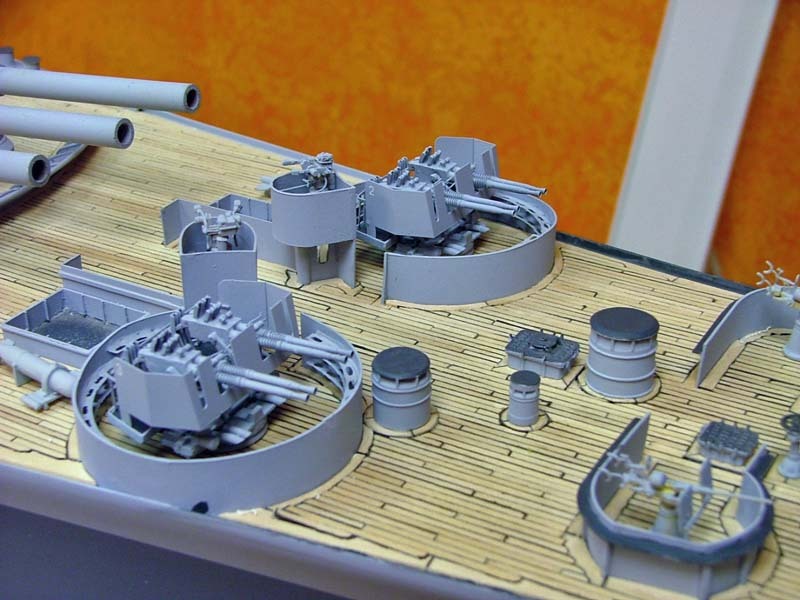 All the 40mm are in- 20mm are all installed- rigging is mostly done- deck winches are on, 5 inch turrets have been painted, as have the 16” turrets. 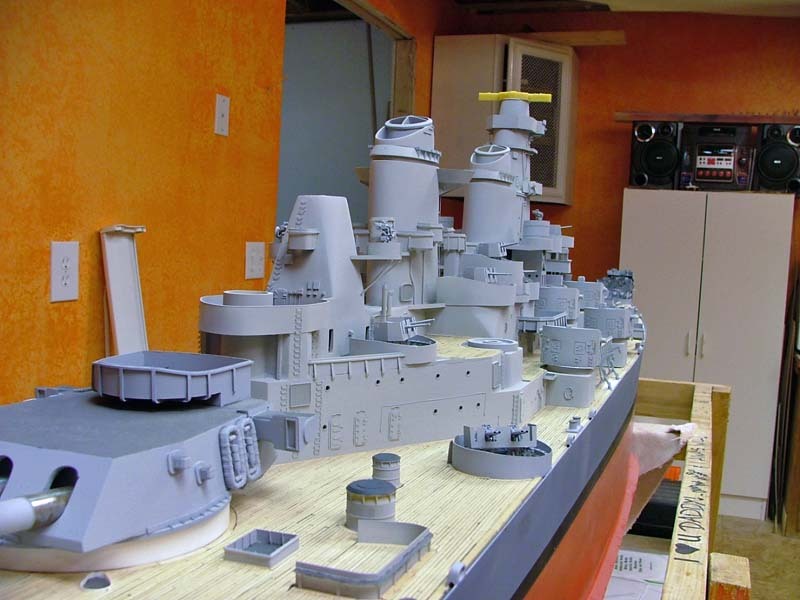 This is Brad's spring and summer project, as he can work on it during his off time on his ship.